1. Learn to organise. Here, compartmentalisation of your products is very important. 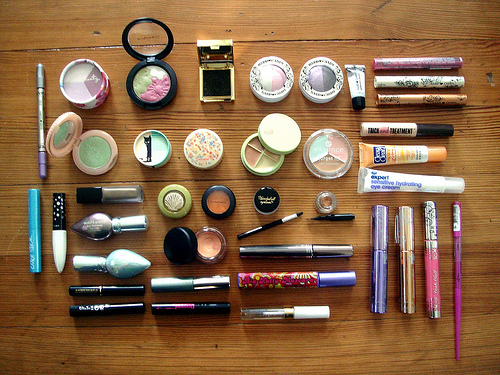 You can do this by separating the types of makeup, into different cases. This will make going through your bag way easier! 2. Separate the liquids that you use. Take them and put them into a plastic bag that is reusable. So is anything spills, it won’t get into your other products. 3. Take special care of your powder compacts. Now, to make sure that they are in one piece, put them in a space with beauty sponges on either side or you can wrap them up with a few tissues that will help them not being tossed around here and there. 4. Loose brushes need all your attention. Pack your brushes into a plastic bag. These should preferably be reusable bags that are big enough for brushes to bps try flat so they aren’t damaged or bent. 5. 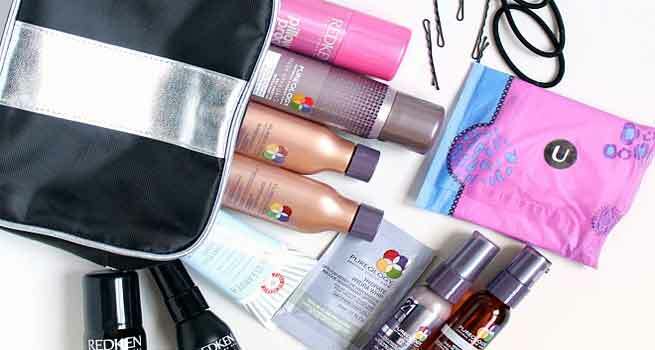 It’s a good idea to pack your cosmetic cases in your bag that you carry with yourself. But if you can’t stash them in that, try to keep your beauty bags between washable goods, in case they might spill. 6. Also have in possession a Brush box of a reasonable size for all of your makeup that helps to your brushes in shape. 7. Separate different category products like lip colours, hair products, etc. 8. You can have your lip color options on hand if you keep all your favourite shades in one accessible box. What you can do is cut off the tip with and place it in each compartment for multiple shades that can be used by you, whenever needed. 9. Keep the heavier bags of products like those filled with contact solutions, lotions, creams at the bottom of your bag and keep the delicate items much more close to the top so that they don’t get crushed and are safe to use later. 10. An alternate way to store your eye and lip brushes would be a pencil case that will ensure they are safe from most damages that can occur. 11. Clean socks are known to be fabulous shock absorbers. You can store them in your bag and they can come in handy whenever needed. Besides, socks are so cute you can wear them whenever. 12. Swap your regular makeup remover that you use for a wipe version that is better. This package will not leak or break, besides they’re great for cleaning dirty hands as well. 13. The powder puff or plastic sheet that is a part of your compact helps the product to stay in place, so use it for that and don throw it away. Incase you misplace it, Put either a round makeup sponge or a cotton pad for the same effect as before. 14. If you can’t leave home without packing your favourite soap, Slice off a piece with a knife and put it in a bag instead of taking the whole bar. 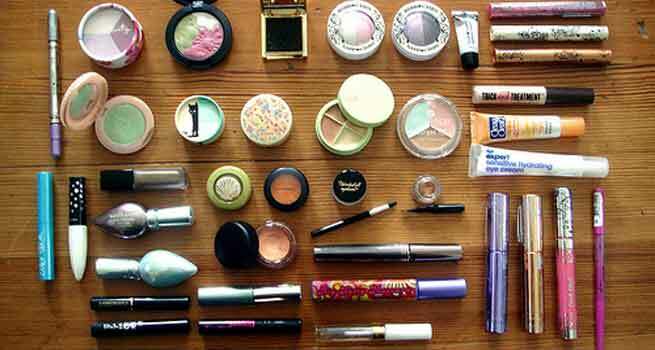 Therefore, these are a few ways to go on about packing your makeup essentials.